When you’re finished cruising the coast line and start to crave adrenaline, you’ll be glad to pilot our top tier jet-skis. 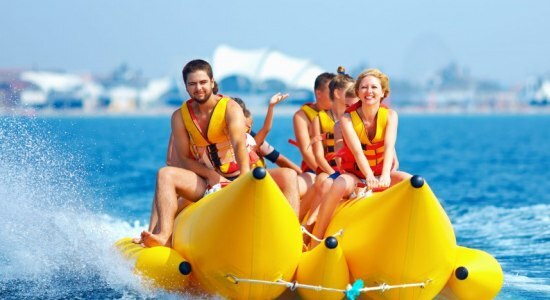 Dive straight into the thrills and satisfy yourself with one of the best watercraft experiences of your lifetime. Our jet-ski rides begin at a minimum of 30minutes and will allow you to speed across the Dubai coastline like never before. 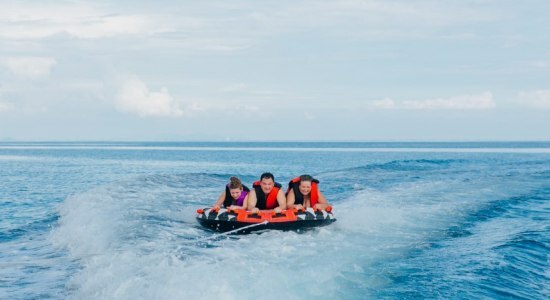 Originally created in Japan, by Kawasaki, jet-skis have gained renown across the world as being one of the most entertaining watercrafts and ours are no exception. 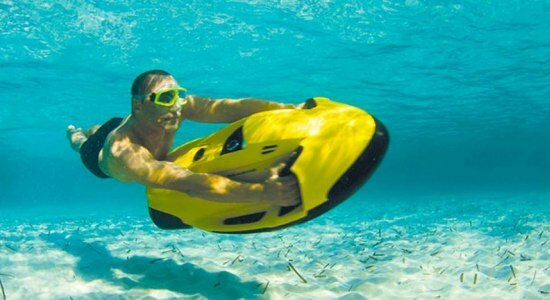 The jet-ski is an open watercraft without anything between you and ocean except for the seat below you. 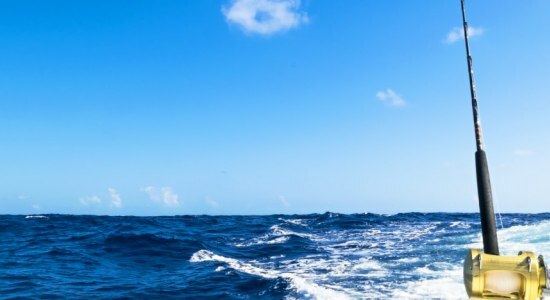 This will give you a sense of freedom gliding across the sea that no other boating experience can offer. The jet-ski is to a boat what a motorcycle is to a car; simply unbeatable. Our fastest model, the RXP-X 255, will see you reaching maximum speeds over 70MPH. The RXP-X’s horsepower will be the envy of your friends as well, as it only needs 2.5 seconds to hit its top speed. The jet-skis we offer are 3.32 metres in length, 1.23 metres wide and weigh around a dry weight of 386 kilos while holding 60L of fuel. 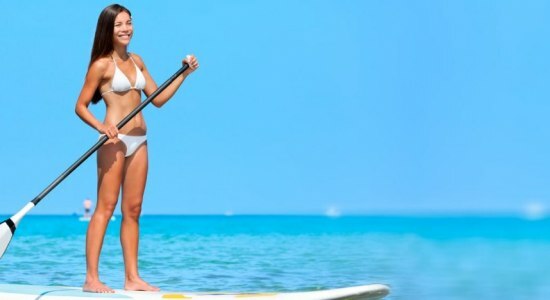 These measurements fit the ideal size for a mid-sized jet-ski, which are perfect for both beginners and experienced riders who are ready to chase their adrenaline. Aside from excitement, safety is the number one priority for all of our riders. Which is why all of our jet-skis come equipped with state of the art, O.T.A.S (Off Throttle Assisted Steering). While most jet- skis won’t even allow you to turn without using the throttle, O.T.A.S gives you the security to manoeuvre through any obstacles with ease and safety. It’s imperative that while you’re cruising past landmarks like Burj Al Arab and Palm Jumeirah, that you’re as comfortable as you would be in your own yacht. Our jet-skis have been built with newly improved, ergolock seating systems. These systems give you the freedom of adjustable handlebars, as well as professional narrow racing seat and foot locks that angle inward. The perfect combination to maximise your comfort. Each jet-ski is also equipped with side mirrors designed to be particularly wide, so you’re totally aware of your surroundings as you enjoy your day on the ocean. Each jet-ski is perfectly designed not only just for comfort, but for speed. They’re designed with adjustable rear-position sponsons, that allow you to choose your riding style; higher for minimum challenge and maximum comfort or lower for sharp turns and extreme manoeuvrability. More importantly, each jet-ski has an engine like no other, the Rotax 1630 ACE. With a 15% horsepower and 9% size increase than its predecessor, the 1630 ACE will give you the edge on the open sea while you hit max speed, looking over the Dubai coastline. Our jet-ski offer is one which cannot be beaten. With state of the art design to maximise both speed and comfort, we’re happy to offer you the perfect watercraft experience.